Written by a veteran University of British Columbia law professor, this civil litigation book pulls together various aspects of estoppel into one place, saving readers valuable research time, while educating them on the rules and principles of estoppel in a clear and organized manner. This book is one of a trilogy along with Misrepresentation (2016) and Mistake in Contracting (2018) which cover the "Truth in Contracting" (or more accurately: "Untruth in Contracting"). Estoppel is understood at a basic level by many lawyers, but this set of legal doctrines is highly complex and filled with such confusing terminology, such that it poses a challenge for both practitioners and scholars alike. 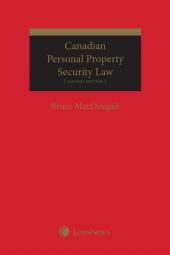 This is the first Canadian text book that clarifies the subject matter from a Canadian legal standpoint and deals with its complexity and subtleties in a manner that's easily understood. 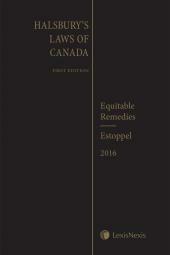 Written by a veteran University of British Columbia law professor, this civil litigation book pulls together various aspects of estoppel into one place, saving readers valuable research time, while educating them on the rules and principles of estoppel in a clear and organized manner. Significant discussion of the 2017 Supreme Court of Canada decision in Cowper-Smith v. Morgan that has clarified various matters to do with proprietary estoppel, including its pre-requisites, its effect and its ability to comprehend future property. 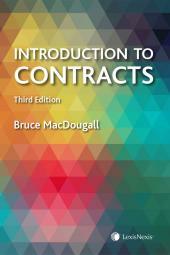 Expanded coverage of various matters including: the meaning of a “cause of action”, the role and meaning of “equity”, the availability of estoppel to third parties, the nature of a “duty” to correct errors, the role and responsibility of agents when there are inaccuracies, the effect of entire contract clauses and the construction of contracts. The book also expands the treatment of the availability of estoppel in statutory and governmental contexts and how and when there can be appeals of estoppel decisions. Where there have been significant developments in English and Quebec law, those developments are also included. Bruce MacDougall, B.A. (Hons. ), B.A. (Juris. ), LL.B., B.C.L., M.A., is Professor of Law and Associate Dean of Academic Affairs at the Peter A. Allard School of Law at the University of British Columbia. For three decades, he has written and taught in the areas of contracts and commercial law. A Rhodes Scholar and a member of the bar of British Columbia, Bruce has been a consultant to many corporate/commercial practitioners and related organizations and has also been involved in continuing legal education and a number of law reform projects. He is a trustee of the Foundation for Legal Research. While on faculty at UBC, he has held visiting positions in contracts and commercial law at other universities in Canada, England, Thailand and the U.S., and serves on the Judicial Council of the Tsawwassen First Nation. Bruce was the recipient of the Killam Teaching Excellence Prize in 2003-2004.